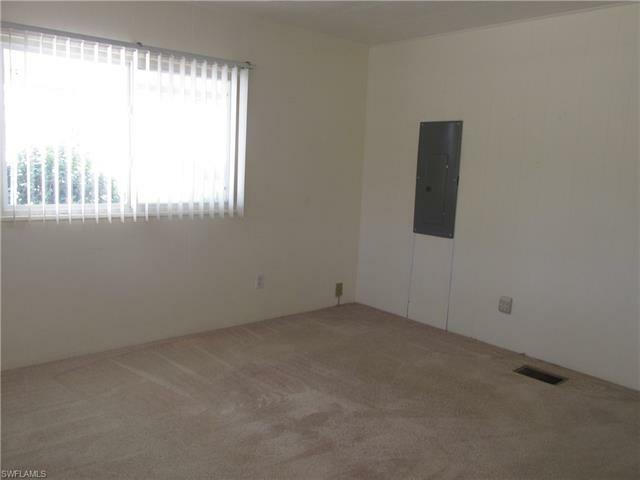 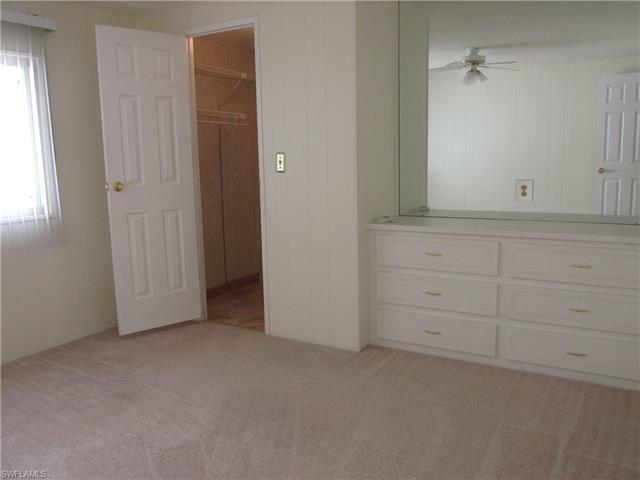 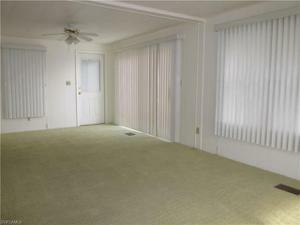 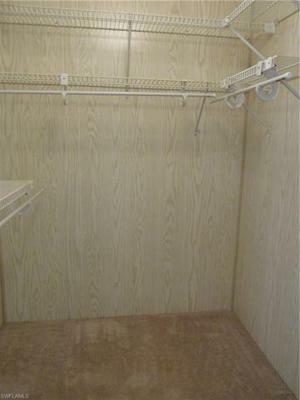 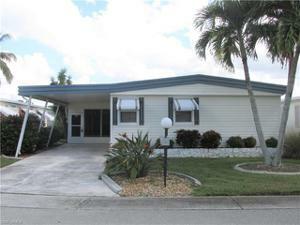 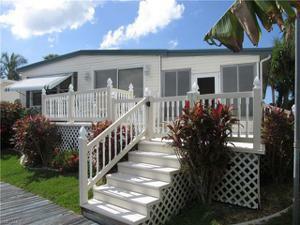 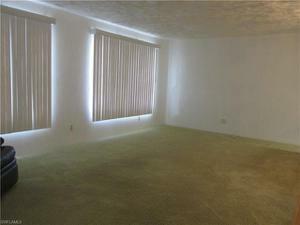 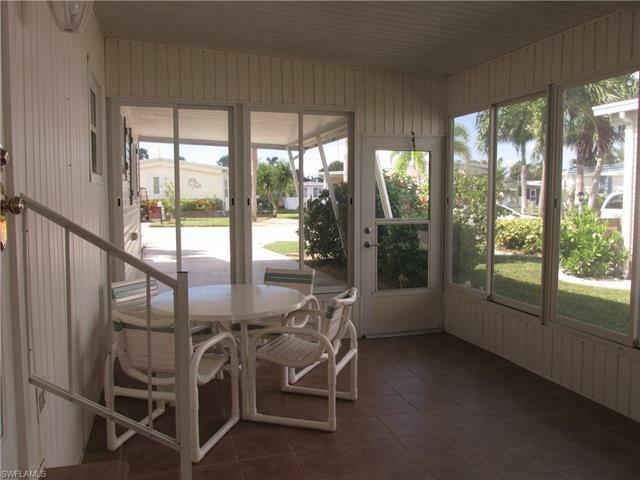 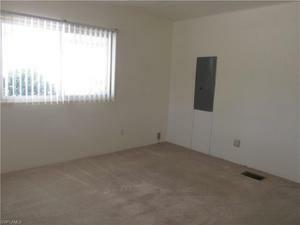 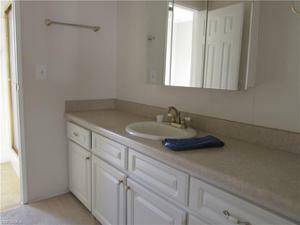 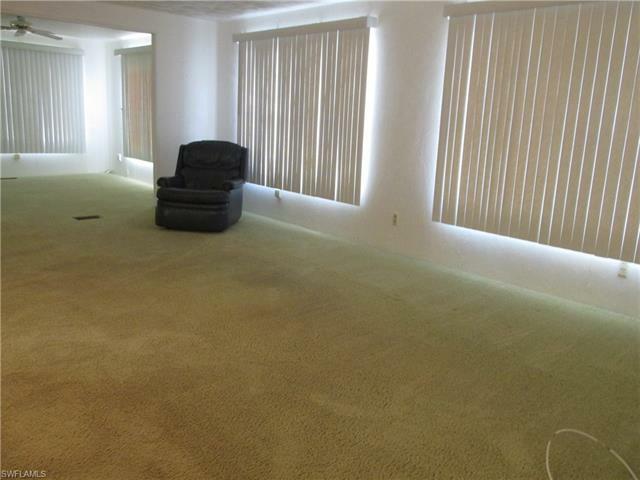 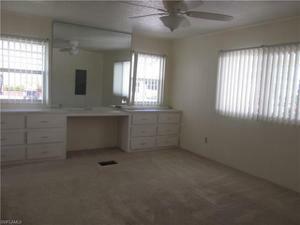 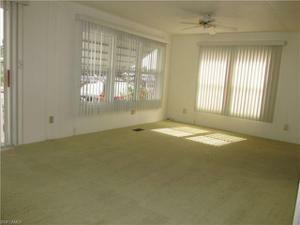 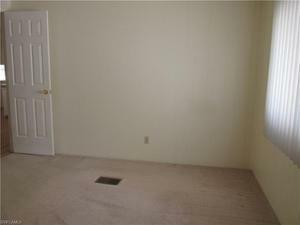 This Bayside Estates home features 2 bedrooms and 2 bathrooms. 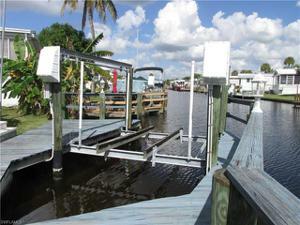 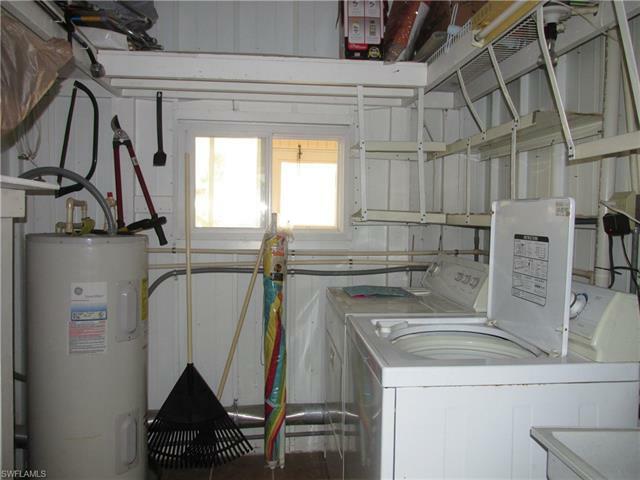 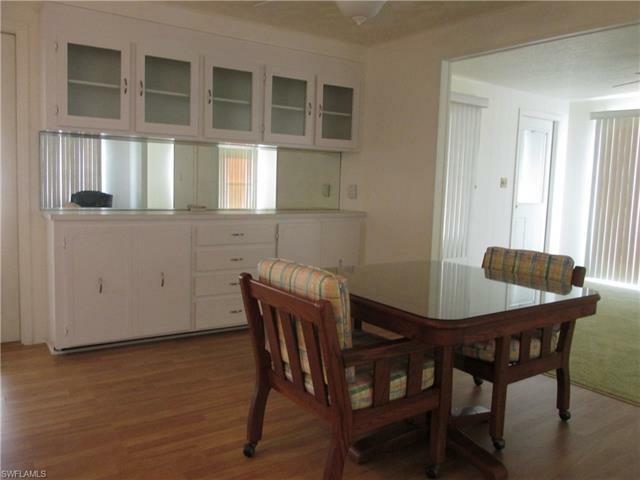 It has an east facing canal front, with a nice deck dock and lift out back. 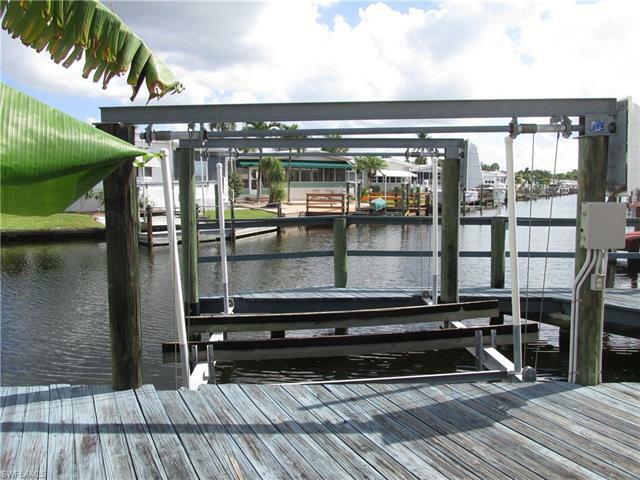 Have your morning coffee on the deck by the canal and watch the sun come up. 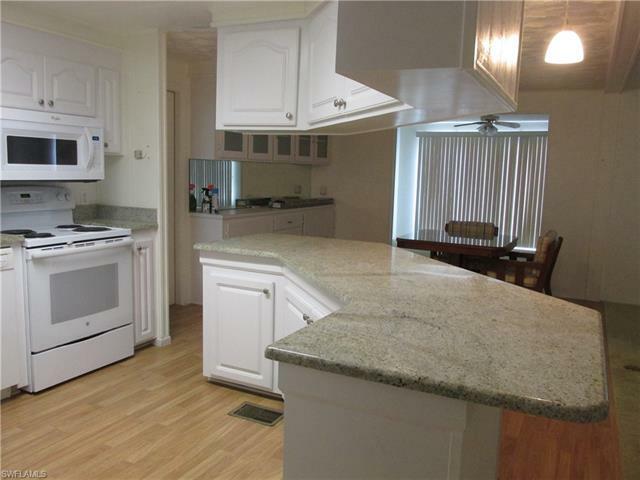 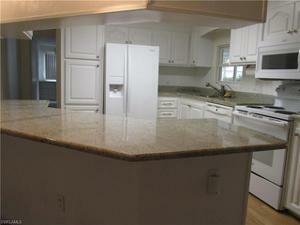 The owners have upgraded this property, with the kitchen remodel featuring a granite island. The windows have been replaced, the doorways to the rear canal front room have been widened, and the carpet has recently been replaced. Both bathrooms have been updated. 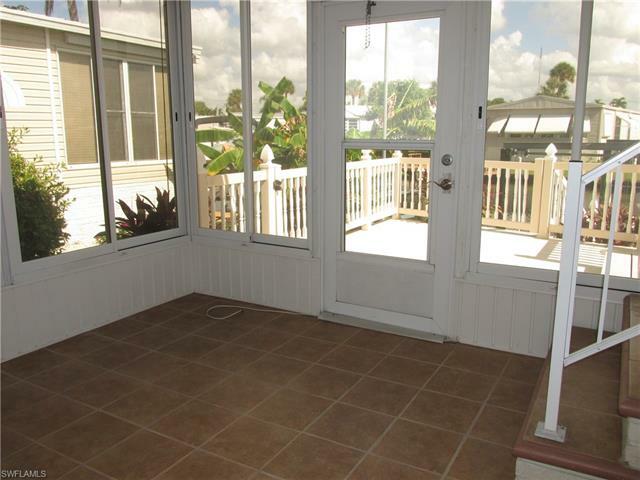 There is a lanai on the driveway entrance with hard acrylic windows. Bayside is a 55 and over active community. 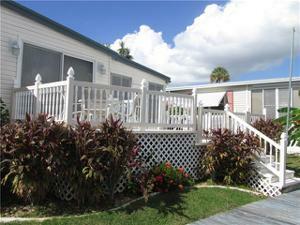 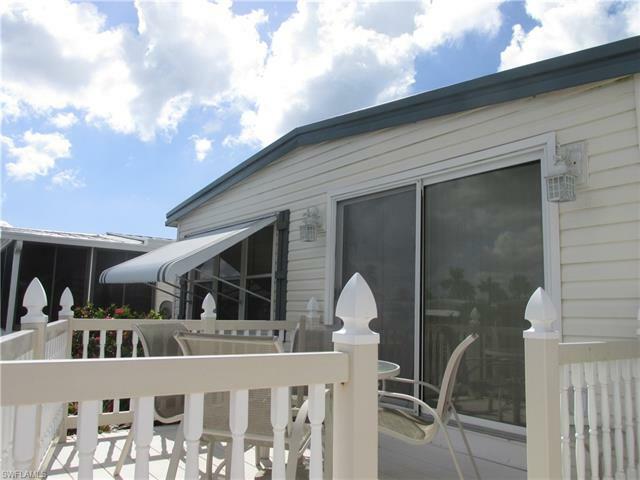 Located between Ft Myers Beach and Sanibel, it is your perfect winter get away. Boat or bike to the beach from here. There are numerous activities and amenities in Bayside including tennis, a pool, bocce ball, pickleball, horseshoes, shuffleboard, art and sewing groups. All kinds of card groups are included, as well as bingo and Friday night jam sessions. Buyers in Bayside have an $1800 resale capital contribution fee. HOA fees in Bayside Estates are $475/quarter effective January 1, 2019, and the capital contribution will be $1,900.